Learn more about this sponsor. Buy online in advance and save BIG from Midas Hawaii. Oil changes, tire rotations, system flushes, safely checks, gift certificates and much more...NO SHOP FEES FOR ONLINE PURCHASES! 12/1/2018 - Teapresso Bar - Kaimuki, Hawaii - 20% Off Coupon and FREE Drink Offer! Our teas are freshly brewed, made to order. Our coffees are made with premium beans. Our munchables are inspired by our favorite street foods. Click on link to get coupons and special offers. Size Matters: Boston's serves the biggest and best pizza at the best price. View/Join Kaimuki, Hawaii Facebook. Great way to stay connected with the community. A Supermarket with Every Day Low Prices - Times Supermarkets is Hawaii's leading retailer of American and Asian foods, with stores throughout the island of Oahu. Get great online coupons! - Making Hawaii's Best Malasadas, Homemade Ice Cream and Baked Goods from scratch. Serving Custom Hawaiian Coffee from Maui and Ka'u, paired specifically for our creamy desserts. Your New Career Starts Here - High quality Full-Time/Temporary Jobs - Our Hawaii employment agency takes the time to know as much as possible about the employees we represent and clients we service to provide lasting and rewarding employment matches for Hawaii jobs. Let us get to know you. 12/1/2018 - Kahala Pet Hospital! Moves To New Location In Kaimuki! 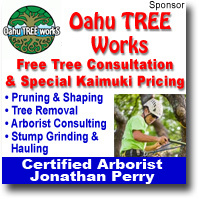 GREAT KAIMUKI COMMUNITY SPONSOR! - At Kahala Pet Hospital we strive to provide uncompromising pet healthcare services and solutions to our Oahu Community, the Hawaiian Islands, and through referrals, the Pacific Rim. 12/1/2018 - Big City Diner - NEW MENUS POSTED! Patrick Ching be doing a limited number of nice, commission 8"x10", $1,000 original oil paintings before Christmas 2018. A commission oil is an oil painting personally created by Patrick Ching for a collector. Art tips, favorite photos, new TV show, new images, awards, class schedule, new online classes and much more. Protect yourself and those around you by getting a flu shot. Flu Clinic starts Mid-August. Walk-ins welcome. No appointment necessary. Flu shots are covered by most insurance. Great movies at the Movie Museum. Click here to view Movie Museum profile. Special appearance by Santa Claus. The event will also mark the official lighting of the Kaimuki Christmas tree on top Pu'u O Kaimuki LEARN HOW TO PARTICIPATE - VOLUNTEERS WELCOME! A reminder to all groups interested in participating in this year's 72th Annual Kaimuki Christmas Parade.. Hurry and don't miss this chance to be in Honolulu's oldest neighborhood parade, sponsored annually by the Kaimuki Business and Professional Association. Click here to get registration information. 12/3/2018 - HOLIDAY SPECIALL - 25% OFF Patrick Ching Painting Nature Online Mastery Course - 26 Lessons Packages! Give or Get the Gift of Accelerating your Painting Skills: Have you ever wondered what kinds of beautiful paintings you could create, if only you had the right kind of help? Learn to Paint with "Hawaii's Nature Artist" Patrick Ching. 12/3/2018 - HOLIDAY/CHRISTMAS SALE - Hawaiian Gold Jewelry Discount Sale Off Entire Website! Hawaii's premier provider of Hawaiiana books and private label merchandise. Established in 1974 with the publication of Hawaii Planner, A Travel Diary, Mutual Publishing is proud to offer one of the largest selections of Hawaiiana titles found in the Islands. We publish books about everything from Hawaiian, history, and natural sciences to fiction, and local arts and crafts. View Patrick Ching's Christmas and Holiday Hawaiian art sale. 20% off all items on website! Free small Gicle'e of your choice (Up to $97 value) any online order of giclee or original over $500 (not including shipping). 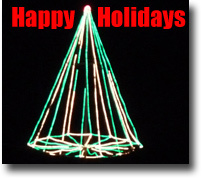 The campus lights will be up throughout December, and the public is welcome to drive through and enjoy the wonderment. The university is located at 3140 Waialae Avenue, Honolulu, Hawaii 96816. Learn about what's going on in the Palolo community. A neighborhood board close to the Kaimuki - Honolulu, Hawaii area. If you're ready to take your art to a higher level. Let island scenery inspire you. Paint as a group at Oahu's beaches, mountains, and parks. Come prepared to paint at the first meeting, when later locations are announced. Students show their work in a group art show at the end of class, time and place to be determined. Course covers basic acrylic or oil painting for beginning to advanced students. Students provide their own transportation to painting locations. 12/12/2018 - HOLIDAY/CHRISTMAS SALE - Hawaiian Gold Jewelry Discount 41% Sale Off Entire Website! Neighborhood Boards are elected every two years, in odd numbered years. The boards serve the community by communicating its needs and desires to government including the delivery of basic government services, economic development, and land use questions. Mayor Kirk Caldwell was joined today by Councilmember Ann Kobayashi, officials from the department of Parks and Recreation and descendants of the Kashiwabara �ohana to dedicate a new monkeypod tree that has been planted in the M �ili�ili Triangle. 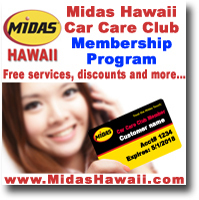 Last chance to purchase the Midas Hawaii Oil Change Service online for as low as $34.99 and Safety Checks for $17.00! PLUS online purchases include shop/disposal fees which will save you even more! New price change go into effect on January 1st, 2019 due to increases in operational cost. VIEW OUR 25% OFF SPECIALS - BeautiGoddess Lash Studio offers make up, hair and skin care services. Their services include but are not limited to: eyelash lift, eyelash and/or brow darkening, lash and/or brow maintenance, facials, waxingmind/body wellness services, special event services. Watt's Cookin' -- Hawaiian Electric Favorites is a 143-page recipe collection just published by Hawaiian Electric employees as a fundraiser for Aloha United Way, the nonprofit organization providing services for Hawai i's most vulnerable populations. View great Christmas holiday sales offers for the Kaimuki community along with special events! Recent news posting from City And County Of Honolulu that I think might interest you. NOAA's Hawaiian Islands Humpback Whale National Marine Sanctuary reminds the public that Hawaii's humpback whale season is underway. The American Red Cross responds to thousands of fires in peoples' homes every year and most of those fires occur while someone is cooking. The focus of this year's National Fire Prevention Week is "Prevent Kitchen Fires" and the Red Cross is offering tips for avoiding fires in the kitchen. 12/21/2018 - Himalayan Kitchen - Kaimuki - Updates their Lunch Menu - Great Coupons Too! Authentic Nepalese & Indian Cuisine. we serve innovative cuisine from different regions of Nepal & India, with genuine, friendly hospitality served great vigor and enthusiasm. The Health Starts Here program assists you to make healthier choices. The Department of Environmental Services (ENV) reminds residents that refuse collection workers will notbe collecting trash, recyclables or green waste Tuesday, December 25, and Tuesday, Jan. 1, 2019 - Christmas Day and New Year's Day. These are the only two holidays observed by ENV refuse workers. 12/26/2018 - Hawaiian Gold Jewelry Discount % Sale Off Entire Website! Following the reopening of four urban Honolulu parks, closed for maintenance work, a contract for a private security company to actively patrol nine park locations in and around urban Honolulu has begun.